Welcome to the Laboratory for Innovation in Optofluidics and Nanophotonics (LION). 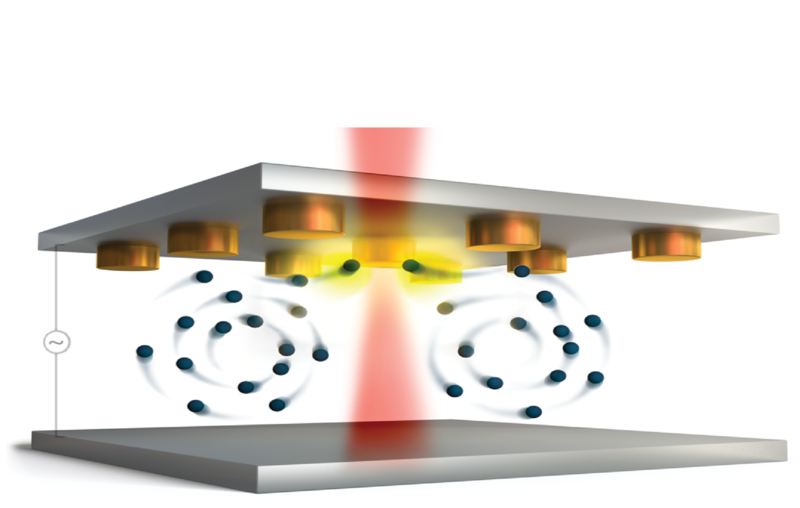 We conduct research at the intersection between Nanophotonics and Microfluidics. Our multidisciplinary research efforts include plasmonic and resonant dielectric metasurfaces for efficient and multifunctional trapping, manipulation and sensing of nanometric objects, nanobiosensors for detection of biological molecules, programmable directed self-assembly of nanostructures to build functional nanosystems, and discovery of novel emergent behavior in micro and nanoscale motors. Through our research, we aim to provide innovative solutions to global challenges in renewable energy, healthcare, nano manufacturing and sensing. Through these activities, we educate the next generation of creative thinkers and innovators that are equipped to tackle interdisciplinary problems.